According to the Halifax, one of the country’s largest lenders, first time buyers have hit the highest level for seven years. Approximately 326,500 bought their first property last year, rising 22% from 2013. This figure is the highest total that the country has seen since the financial crisis started in 2007. Two of the reasons for this include the Government’s ‘Help to Buy’ scheme and cheap mortgage rates. House prices rose in 2014, but first time buyers still found purchasing new homes affordable because of the falling mortgage rates. Due to these lower borrowing rates, new buyers didn’t have to find as much of a down payment as they would have in the year before. According to Halifax, down payments fell by 7% during the year and in the third quarter of 2014, new buyers were spending an average of 32% of their disposable incomes on paying the mortgage. This compares to 2007, where first time buyers were spending 50% of their income. House prices however, rose from the previous year. The average new buyer spent approximately £172,000 in 2014, a rise of 9% compared to the previous year. Around 80% people who use the Help to Buy scheme are first time buyers. 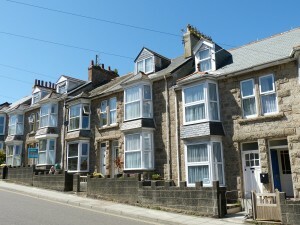 The Help to Buy scheme enables people to put down a deposit 5% of the selling price. What do you think about the Help to Buy scheme and current house prices? Let us know on Facebook, Twitter or Google+.